Schalke walked out as a happier team tonight after a 1-1 draw against Galatasaray. Galatasaray started the match really good with Sneijder and Drogba starting in the lineup . Galatasaray scored first with Drogba and Selcuk Inan's work to Burak Yilmaz and Burak Yilmaz finishing it rocket shot on goal ! Schalke's Huntelaar's huge miss just by the post and Galatasaray's Hamit Altintop's shot hitting the bar and Drogba's shot was saved by Schalke keeper Hildabrand. Galatasaray was the better side until the very last minute of the first half! Just before the brake Schalke, scored on a breakaway thanks to very poor defending by Galatasaray team. American player Jermaine Jones beat Muslera and Galatasaray defenders after getting a beautiful cross from Farfan. In the beginning of the second half Fatih Terim pulled Wesley Sneijder! He said, "Schalke has the advantage on us now.All we have to do is play very hard in the second leg match in Germany "
Next three weeks will be very crucial time for Galatasaray and Fatih Terim .. The trio on top ,Drogba,Sneijder and Burak Yilamz has to jello better and he has too fix the defense somehow! That is the biggest hole for Galatasaray! 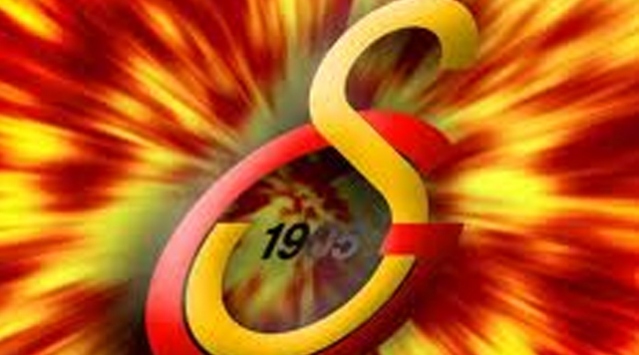 Turkey's only team in the UEFA's Champions League , Galatasaray hosting Schalke 04 ,today in Istanbul. Tonight's game will be Galatasaray's 244th game in Europa cups. With Drogba and Sneijder playing first time last weekend in the Turkish Super League match for about 25 minutes against rock bottom team Akhisar! This is fact, Galatasaray will be watched and followed bu many football fans around the world ! You like him or not ,Galatasaray CEO Unal Aysal and his committee , did something it is almost unthinkable! They deserve a lot of credit for this! Even though some still argue and say, "coach Fatih Terim did not want Drogba or Sneijder !" Just remember , where Galatasaray was at before they came in the power! and now, they are most talked about Turkish team in the world again. Drogba, Sneijder, Yilmaz, up front and Hamit Altintop and Selcuk Inan will be factors in tonight's match! A night to be remembered by Drogba and Turkish football fans in Turkey on Friday night in a small city called Manisa, just outside of Izmir . Drogba made his debut as a sub in the second half and within 5 minutes of his entry he chanced the score and style of Galatasaray's play! Until then, Galatasaray was struggling to rock bottom of the league ,Akhisar Belediye! It was nonsense to keep a player like Drogba on the bench ! Galatasaray fans in front of the screen and fans in the stadium was sweating really bad until Drogba's goal! Burak Yilmaz gave him a beautiful cross on his goal! Two minutes later from first goal, Sneijder gave the ball to Drogba ,he went around few and took a shot and ball was deflected and Burak Yilmaz scored the second goal for Galatasaray! Clutch player Drogba, totally changed the mood of the match and relieved a lot of Galatasaray fans who were biting their nails! After going up two goals, there were few good Drogba passes to Burak Yilmaz but Burak Yilmaz could not finish it . Rock bottom team of Turkish Super League, surprised Galatasaray defense in the 85th minute with Sertan Vardar and made theh score 1-2! I don't know why Terim, decided to pull him off! Akhisar's goal weapon Greek soccer player Gekas had a huge miss before, Droga's debut! But at the end, Galatasaray was lucky and with Drogba's debut has won this match. This match was final tune-up match before the Champions League match against Schalke 04 on February 20th at Turk Telekom Arena in Istabul,Turkey. It will be tough one ! This loss of points might hound Besiktas later on in the race for the Championship! This is a huge match ! On Monday, week 22, will close with Kasimpas vs Sivas match . On Sunday, Fenerbahce could capture the second place from Besiktas if they beat Trabzonspor. That is why this match between Trabzonspor and Fenerbahce on Sunday is huge. A loss for Trabzon could spell danger for Trabzon! He arrived in a private jet with his family , his managers and Galatasaray officials. Drogba was wearing New York Yankees hat, when he was coming out of the plane. There, he met coach Fatih Terim and the other team officials. Fatih Terim said, "Galatasaray transfered worlds most known and famous player" I am very happy "
Drogba talking to Galatasaray TV said " I am very happy to be here, it is new page in my life"
I will do my best "